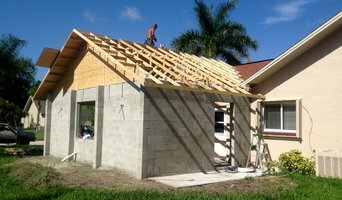 CMD Builders is a Fort Myers based construction company specializing in performance building. We provide construction services that are built to last! A full service Building Contractor, our services include all phases of Commercial and Residential New Construction and Remodeling. From the smallest residential kitchens and baths remodels to commercial buildings and tenant improvements, we can provide it all. We provide quality service at competitive prices. We are a proud distributor of Fabuwood Cabinetry. Ask us about updating your kitchen with beautiful, all wood cabinets made in the USA! Design Build and Remodeling since 1981, Fitzgerald Construction Services offers a full range of home services including Remodeling, Design Building, Additions, Kitchen and Baths, and custom homes. We build our homes with our clients in mind. We also specialize in roofing and tile installation. We make sure that everything is exactly what you expected while using high quality materials. Dahlke Carpentry Company is a fully licensed and insured company serving Fort Myers and the surrounding areas. Trust our 35+ years of residential contractor experience in your home for a quality job that will enhance your largest investment – your home. We guarantee our work and your unconditional satisfaction because that is our ultimate goal. 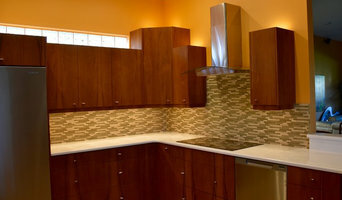 From a kitchen and bath remodel to a whole house renovation project, you’ve made the right choice when you choose us. 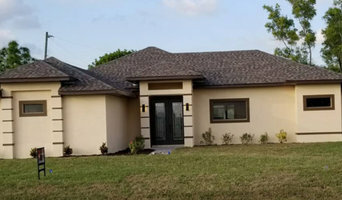 Dan Hahn Custom Builders is a full-service construction firm specializing in new residential homes and remodeling on Sanibel and Captiva islands. It is our mission to bring your visions and dreams to life. Whether it's windows, doors, interior or exterior remodeling, renovating or repairs, your home is a reflection on our reputation. We are a full service company with over 30 years of experience as a general contractor specializing in remodeling and repairs. Give us a call today to begin your next project! We are a multi-generational family owned company, with decades of experience in multiple fields of home building and remodeling. We bring you a top level service at an affordable rate. With hundreds of successful remodels under our belts, we believe in a high-touch service level with attention to details. Our creativity and sourcing abilities provides more bang for the buck! We have been recognized for our process, of detail oriented craftsmen and have aligned ourselves with the best in the business by constantly striving for and guaranteeing the highest level of quality. We are a locally owned and operated, remodeling and custom carpentry company that was founded in 1992. We have been providing services to builders and homeowners for 30+ years. Harbourside Custom Homes builds luxury residences from 2,500 to more than 8,000 square feet. Owner Jerry Colton has been building in Southwest Florida's finest communities for more than 20 years. Harbourside is a member of the Florida Green Building Coalition as well as the national, state and local home builders associations. The name is synonymous with fine craftsmanship, quality materials, timely completion, and attention to detail of each distinctive home. If you're on the brink of a large home improvement project, remodel, or new build, you'll likely want to hire a general contractor in McGregor, FL. These professionals manage all aspects of the job to ensure it's completed on schedule and to your satisfaction. Whether you’re trying to find McGregor building contractors for a new construction, or home improvement contractors to spruce up your existing place, it’s important know exactly what role they will play in the project. Read more below for a list of must-ask questions. General, or construction contractors, are often known as project managers. They oversee the entire remodeling or new home construction project and facilitate all day-to-day tasks that move it toward completion. A McGregor general building contractor will work with your architect to review plan as you build a house and ensure everything is in place before work is started as well as arrange for permits and necessary inspections. While good local home improvement contractors in McGregor will have the skills to handle certain tasks onsite, such as carpentry, he or she is also responsible for hiring subcontractors for the majority of jobs, such as electrical work, painting or plumbing. In addition, the general contractor should be on-site regularly to inspect the progress and resolve issues. Here are some related professionals and vendors to complement the work of general contractors: Architects & Building Designers, Interior Designers & Decorators, Landscape Architects & Landscape Designers, Kitchen & Bath Designers, Specialty Contractors. Home remodeling contractors are a must for successful completion of a renovation. Because of this, it's essential that you do your homework before deciding on the right general contractor in McGregor as you remodel or build a house. Inspect bids carefully. Was it ready when the contractor promised it? Was the bid for building a home unusually high or low? Each of these things can be very telling: A late bid may reflect timing standards, and an off-the-mark bid could be code for a pricey premium or a deliberate underbid to score the remodeling job. You should call references, carefully read reviews and visit completed projects in McGregor, FL to see if they’re what you expect for your job. Once you do secure your local McGregor contractors, read the contract very carefully to be sure everyone is on the same page. Find a McGregor contractor on Houzz. 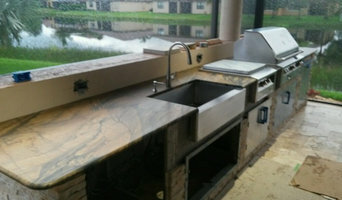 Narrow your search in the Professionals section of the website to McGregor, FL home contractors. You can also search for photos in McGregor, FL and contact the McGregor general contractor who worked on the project.